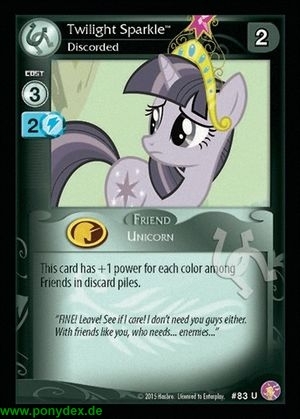 This card has +1 power for each color among Friends in discard piles. "FINE! Leave! See if I care! I don't need you guys either. With friends like you, who needs... enemies..."